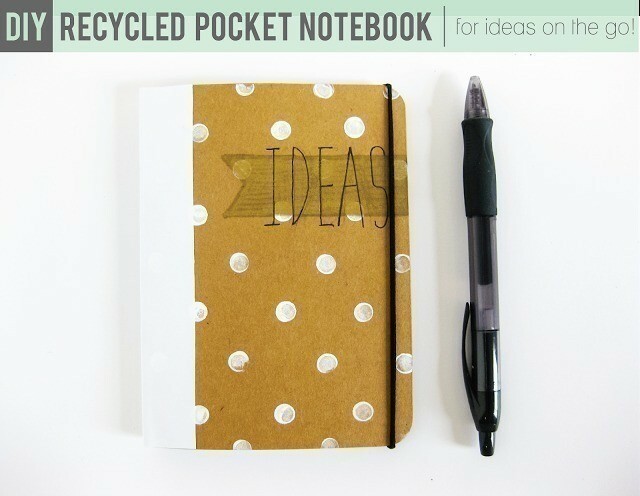 In this tutorial, I'll show you how to make a simple, portable, pocket notebook perfect for jotting down ideas and inspiration using recycled scraps! 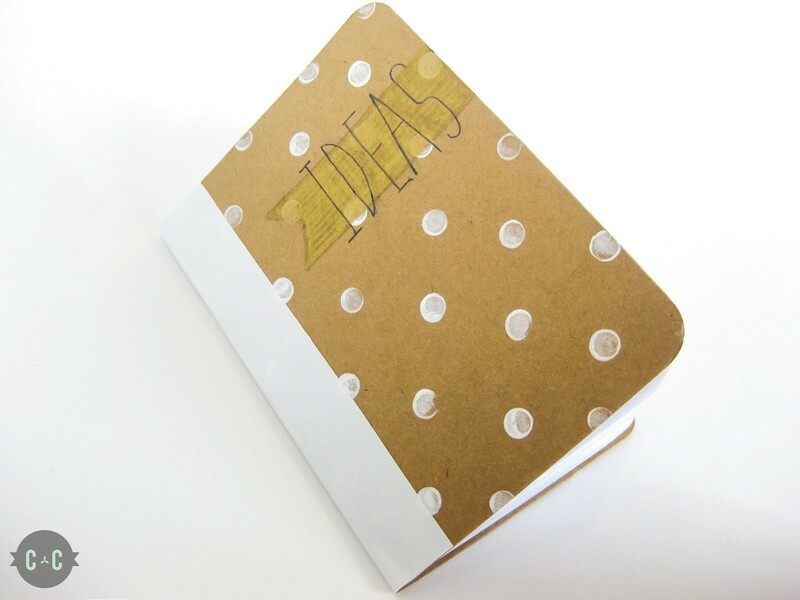 I'm always on the lookout for new ideas and inspiration but I can't tell you how many times inspiration strikes at the most inopportune time: when I'm out and about but there is (of course) no paper to be found. I often end up scribbling it down on a questionably wrinkly napkin only to lose it in the depths of my black hole purse. 1. Cut your cereal box to your desired size. To make it easier to fold, score your cardboard lightly at the halfway point with an X-acto knife or rotary cutter. 2. Cut your pages slightly smaller than the size of your cardboard. I did about 12 sheets, so I had 24 pages. 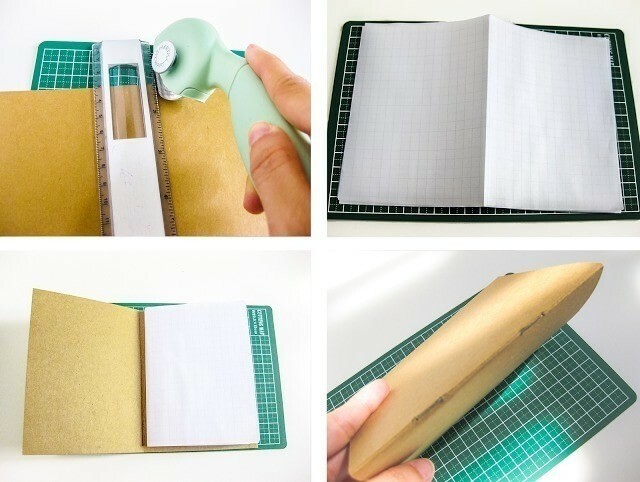 Fold your pages in half. 3. Position your pages inside your cardboard and staple the spine. 4. 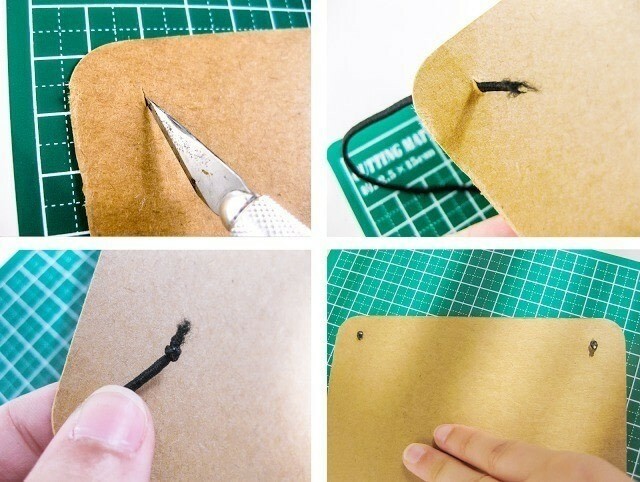 On your back cover, make a small slit with your knife at the top corner edge. 5. Grab your elastic/hair band and thread it through the slit. Make a knot and secure it with nail polish if desired. 6. Repeat with the bottom corner edge. 7. 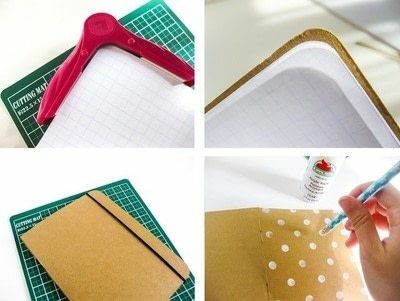 Optional: Using your corner punch, round the edges of both your cardboard and your pages. 8. To decorate, I used the end of an eraser and white acrylic paint to make a polka dot pattern. I also had a scrap piece of white contact paper/drawer liner that I used to cover the spine. I then used a gold sharpie and pen to title my pocket notebook. Feel free to decorate this any way you like; I just wanted to use up some odds and ends materials that I had lying around. I also used the same polka dot technique here! With a cute pocket notebook like this, there shouldn't be any excuse to not jot your ideas down. Keep calm and stay inspired!